is the new challenge at the Craft Stamper Take It, Make It Challenge blog this month. All you need to do is heat emboss an image/design onto the project, then colour over the top with inks/watercolour paints. The embossing powder will resist the inks etc, and show through. This could be for the focal point to your project, or be part of the background. 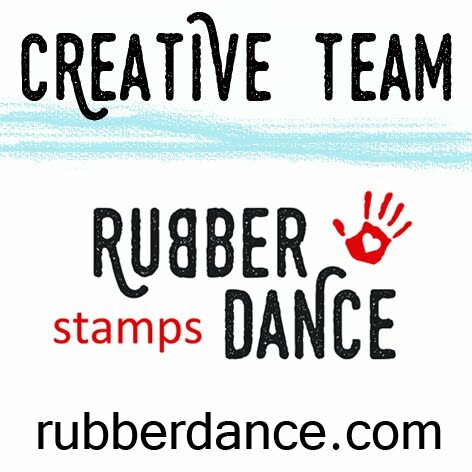 Real stamping needs to be included as well (in case you doodled with an embossing pen for your resist rather than stamped). I couldn’t resist using my new Darkroom Door stamp for this challenge with some gum leaves to create a typical outback scene. The front panel is a one-layer piece using lots of masking. onto white card before adding the scene behind it. Then I added the distress ink! What I really loved about making a card this way is that I didn’t need to be fussy with the inking. Because the embossing is so shiny it was difficult to get a good picture of this one. Oh, and don’t forget to link your work back to the Craft Stamper. Stunning effect Dot, and such a great technique! Love the colours you chose, looks wonderful!!! Amazing effect – might try this myself! So gorgeous and looks so full of textur Dot…love your card! This technique is right up your street Dot. Superb inspirational make with such an amazing colour palette. That's a masterpiece, I love every detail. Wow Dot, stunning techniques along with a wonderful design. I can see how much fun you had creataing this masterpiece. Thanks so much for sharing with us at Ruby's Rainbow and good luck in your CS entry. From a previous buddy Caz. Beautiful hot summer colors, Dot. What a wonderful scene and those embossed leaves make the perfect frame. I can feel the summer heat from here! So happy to have you joining in the fun with us this time at Frilly and Funkie. Thanks for joining our challenge at Card and Scrap. Wowzer – that is beyond cool! Stunning embossed effects… I can feel the heat haze! A great effect on this card! Thank you for joining us at ABC CHALLENGE! Good luck and I hope we see more of of your lovely work!